There are people out there who consider this a good thing. If they ever get control of a nation’s military, IE, form a government, humanity may as well capitulate. Despite being a techie (my main interest), I believe some liberal values to be one of the greatest evils sentient life on Earth faces. They must not win, ever. Fight back club: Make it illegal, start by writing to your MP. That’s how the system works, right? Thinking about it, it was inevitable, because under all the superficial news and opinion of the somewhat biased media, an underlying majority of good people were fed-up of all manner of threats to our freedoms, dignity and a value system based on personal responsibility and focused compassion. When Lady Thatcher was in power, she became unpopular over time (and more recently with some unjustified bile from those who have no idea of her true character), not because of her policies – that have subsequently been proven to be good for the country – but because those around her were not as upstanding as she was. “With friends like these.” Etc. Hangers on comes to mind! The bankers exploited her trust in their new found freedoms, that we paid for in 2008. Other aspects of capitalism lost their sense of honour too, something that has also continued to this day. 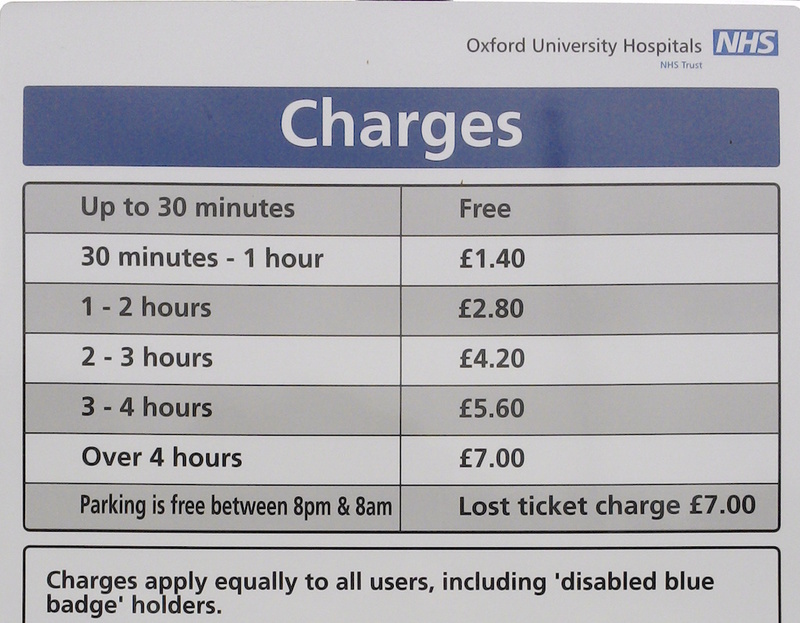 Eliminate hospital parking charges by the end of this year – the most unethical aspect of UK society today, and something UKIP were due to repeal. Make it illegal for landlords and estate agents to charge fees for background checks, beyond a total of £20. (They can pay an intern £10 an hour to do the work – as we do – and cover their genuine costs with the balance.) On a personal note, I am no fan of landlords or estate agents, many unpleasant words come to mind, but we’ll leave that for now. Impose stricter regulations on pay day loan companies who, like bookies, exploit those down on their luck – and sometimes only make things worse. Ban car and other insurance companies for charging fees (often as much as £25) to update a policy. For example, a customer address or driving situation. To charge for making a quick update to a database, a process that takes seconds yet costs the customer money in telephone call costs is unethical and like many of the other issues on this list, quite simply didn’t happen not long ago. With relation to 4, above, rein in the unjustified fees that ladies have to pay for car insurance despite having a far lower risk of accident. The fees were raised due to the selfish behavor of feminists (don’t get me started) who wanted equality. Well, they have been hoisted by their own petard, financially crippling many safe driving young women everywhere. Can you believe that most young people today pay more for their car insurance than for their car? Totally unjustified, even for young men. Cars today are far safer, speed limits and drink driving laws etc are stricter. So there is no need for it. Do as America and Australia do, and only allow people into this country who are not going to be ward of state, agree to our system of democracy and as Gordon Brown was hoping to encourage, take an oath of allegiance. Some of us find it reprehensible that decent people are sometimes forbidden from entering this country, whilst those who come from countries where we source our blood oil are allowed in for geopolitical reasons. In return, they kindly spew their hate by exploiting our freedom of speech laws. And by doing that, actually encourage the easily brainwashed to commit terror on our streets that in turn leads to unjustified intrusions into our privacy through monitoring of our communications. Cure the disease, and you won’t need a morally dubious cure! Honour your pre-2010 election pledge to be a green PM. Did you kbow that GOP supporting farmers in middle America are panicking because the unpredictable weather is leaving their crops decimated? Yes, ‘redneck’ types who once thought #climatechange was a load of hooey, now know it is real and not a UN new world order conspiracy. This ONE example of the dangerous effects of climate change has not been reported, but threats to our food supply are a lot more serious than inconveniences such as flooding and the odd out of place tornado. (One touched down in Germany the other day causing much damage, but people won’t starve and they will rebuild.) How about scrapping HS2 (that will be obsolete by the time it’s finished due to the advent of autonomous airborne delivery and transport services – quote me on it) and instead invest in next generation solar and other sustainable energy technologies. To kick things off and inspire people, how about committing to making the Houses of Parliament run off 100% solar/tidal energy, just like the lovely National Trust HQ in Swindon that runs on solar. Your chancellor and fellow Bullingdon Boy started with the welcome investment in graphene, so keep up the momentum – Elon Musk cannot do it all on his own! Britain has some great University talent, so harness it. Have you ever experienced the enthusiasm of an idealistic student before he or she is sucked by an attractive graduate salary into the humdrum never changing monotony of dull 8:30-5:30 career? If I think of anything else, I’ll update this list. Need to check my notes, but in the mean time, don’t forget how and why you got here, beyond the hard work of you and your team of course. …the movie (or is it film? ), is, like most of the apocalyptic dystopian efforts of this forthcoming summer, one of those that makes you think about what it is like to be human and question our potential future. Oblivion is very relevant to goings on in the world today, and one of those things that has since the mid 1990s (when I woke up) made me wonder if Hollywood is either very visionary or in cahoots with the powers that be to prepare us for our inevitable future, from the exaggerated (but accurate to date) effects of climate change in The Day After Tomorrow to the guilty until proven innocent reversal of non French law in Minority Report. Advances in health and biotech makes it possible for parents to have babies at increasingly older age(s), not to mention flawless designer babies – a legal non repressive alternative to the ideals of Nazi Germany. Increasingly effective artificial intelligence and data mining technology (related!) mean that our gadgets know more about us than we do and can deliver pre-emptive information before we seek it. But to whom? Many other similar or related issues that like the above have already been discussed around the world. You dropped a cigarette – Prepare to die! So, Dear sentient human, do we take the above concepts to their inevitable conclusion – because we can – or like when offered a line of Charlie by a controlling manipulative fiscally motivated ‘friend’, calmly depart the room head held high and continue as we are, relieved at having walked away from a potentially regretful uncertain future? Fight back club: Wisely choose, human. P.S. I went into Oblivion having for the first time ever in my movie viewing history accidentally known about a major plot ‘twist’ in advance. That thanks to clicking a link in a gadget blog comment without noticing a not very clear “Spoiler alert” warning. Fortunately, this didn’t ruin the movie that much because it had enough going for it anyway unless you don’t like TC. P.P.S. In 1993, whilst living in the US, I started to write a short story predicting the misuse of drones. Work meant I didn’t complete it, but I think you’ll get the idea from the completed text. The culture of blame continues to get worse here in the UK. Families of soldiers killed or injured during war will have the right to sue the army! So, let’s get this right, you enter a profession with the full knowledge that you may get killed, things can and will go wrong, yet your relatives will always have someone else to blame, other than the enemy, (soldier) error, accidents, or just statistics and bad luck? As per item 1, just a great excuse for a money grab. Can you imagine if every death or injury in previous wars (Falklands, WW2 etc) was subject to this madness, the military would collapse under the financial strain and the country would (as it is!) go bankrupt. Yesterday, I had to rush to a hospital where someone was in a life or death situation. Despite the traumatic nature of the occasion, on arrival, like all the other visitors, I was greeted with a barrier and ticket machine. Price to leave after a few hours visit? £5.70p. It should be noted that a few years ago I asked the authorities why they charge at this specific hospital. 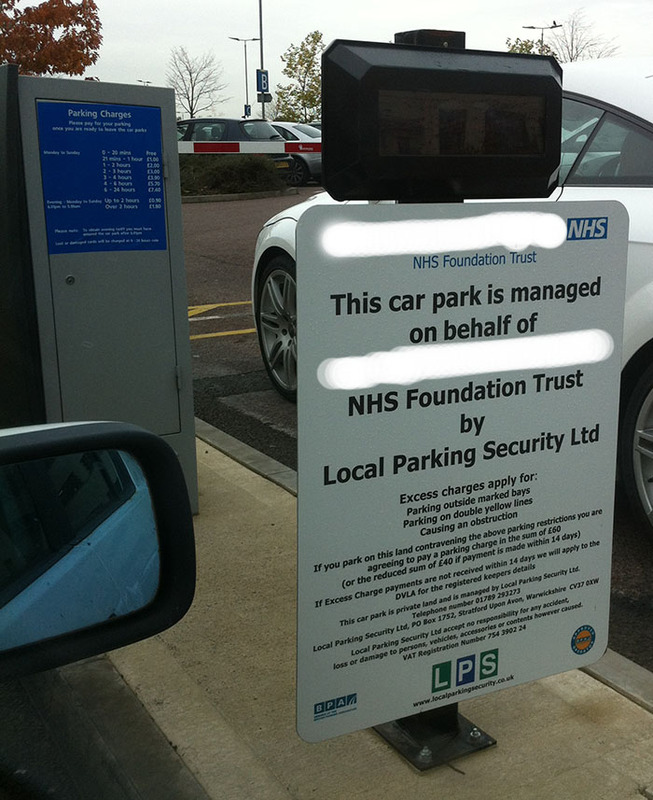 Their answer: To deter non visitors from parking whilst they go shopping. Really? The hospital is located on the top of a hill miles from ANY other buildings. So they lied! Related to 3, around the same time, whilst a THREE LANE speed limit was in place on a stretch of motorway near the hospital, I received a speeding fine for doing 50 in a 40 zone whilst on the way to the hospital. (Remember, this was a motorway where one could safely drive 70mph.) I asked why the speed limit? The policeman who answered the phone replied: There are workmen down the embankment and we are worried people may lose control of their vehicles, roll off the road and hit the workmen. I could not stop laughing, contested the fine and was let off. Today every excuse is used to fine regular hard working individuals fattening the bank accounts of councillors and/or the makers of machinery used to issue tickets or entrap motorists. It wasn’t like this in the past and it needn’t be like this now. So why are things getting worse? 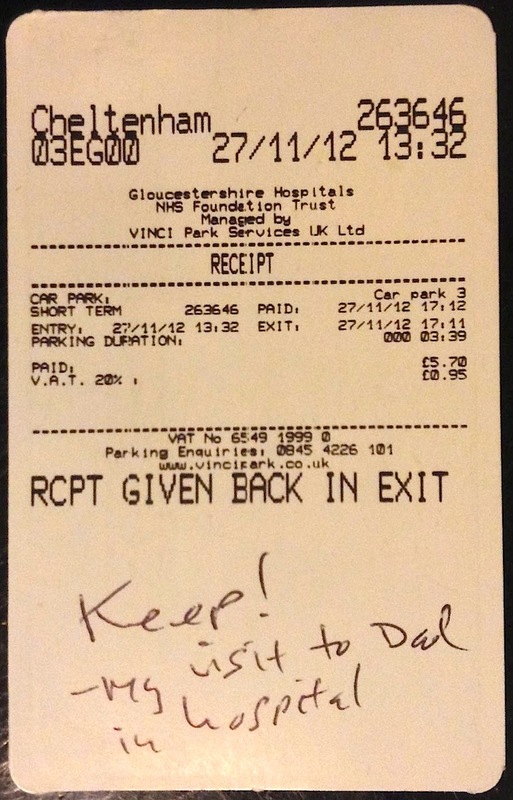 Update (23 Oct 2012) Here’s another example of council jobsworths in action – paying to walk through a car park. Of course, financial motives also drive the dispensing of sometimes dangerous or addictive drugs to patients by some doctors, but that is another discussion and already covered by other blogs and writers. The UK has become a despicable nation that feins victimhood to sap money from everyone but self creating an complete inversion of what is right. I wonder how much Local Parking Security Ltd were behind any council lobbying? Fight Back Club: If you know in your heart you are in the right, refuse to pay and if need be, take legal action, not to profit personally, but ensure justice is done and at least get a refund. With regards the parking charges for hospitals (morally disgusting), I am starting by writing to the authorities responsible and then plan to take legal action as a tax payer on behalf of countless others who feel the same way as I do, but are unlikely to do anything about it. We don’t expect to be faffing around looking for change when visiting ill family or friends. We have enough on our minds already. This people is what Dystopia is all about. Automated for profit law and order, with no care for the citizen. The genius of reality is how it plays tricks with us, like a magician. He or she has you focus on their card hand, while the other is up to all sorts of jiggery pokery, without you realising – unless you are in the loop of course. Over the last few decades we have been occupied with the card hand of terrorism and climate change. Whilst we have been debating these too issues, a far more sinister threat to common sense and the natural order of things has been worming itself into the underbelly of our very existence. Namely, the nefarious behaviour of pharmaceutical companies. It was a shocking life changing event in 1991 (in a specific tall building on University Avenue, Palo Alto to be precise!) that first enlightened me to the fact that evil really really did reside deep within the culture and motive of some large corporations. And unlike Hollywood movies, no Harrison Ford or Matt Damon character would come to the rescue and bring it all to an end in a series of public exposes or fiery explosions. Back in the old days, research was driven by the desire to do good. A lone scientist would work late in the lab and develop or discover something wonderful, without which, many or even all of us would not be around to tell the tale. Their motive was to do good with no material gain, even if some justified fame. We have all learned about such brilliant people at school. I recall being shocked when living in the US how people would constantly pop pills for any ill, instead of trying to diagnose why they were feeling off or simply letting an improved lifestyle and time cure their woes for little or no cost. The reason this doesn’t happen (and this is one of the reasons I left the US, despite my love of the people), is because the whole nation (and soon the rest of the world), is setup through the whole structure of society to self harm and then seek a fix – profiting many 3rd parties. Just go spend a day with a diabetic to see how such firms have these long suffering individuals in the grip of their gadgets and drugs! And woe betide anyone who dares challenge this. For the large corporations simply slip a nice little earner to their target politician, and the law is adjusted accordingly to ensure the status remains quo. With the social services, police and military under the instruction of said law, attempting to halt this gradual slide towards dystopia is going to become more and more difficult. Please do read your newspapers for evidence of parents or children being taken into care or arrested and/or given drugs they do not need due to the sudden invention of new illnesses that are nothing more than hot air, or the result of an over mechanised society and ‘curable’ through common sense action, time or both. Sadly, one cannot simply run away from this issue, unlike terrorism or climate change. These drugs are entering our water supply, and over time, build up in the bodies of creatures small and large, here and there – without consent. Fight back club: Fix yourself the natural way and refuse to befriend or break off relations with anyone who works for such corporations. I have, since the 1980s. In 1992, after reading about a short story competition in the Palo Alto Weekly, I started work on a screenplay predicting a devastating (nuclear) attack on New York city. The whole concept was based on my observations of US culture over my humble, (at the time) timid and reserved English upbringing. I felt that if I as a citizen of a nation at the ‘centre’ of the world was shocked at US culture, how would those further to the East or with similar more reserved values react and how long would they put up with it, even if such differences were not intended to cause intentional harm? In a nutshell, I felt an event on the scale of (or greater) than 9/11 was going to happen years before anyone had ever discussed such a concept – Tom Clancy included. Well, unfortunately, my prediction came true, even if on a lesser scale – relatively speaking. I put a considerably amount of effort into what became a short story called The Party. And to date, have never profited from it, despite the fact many others have profitted from 9/11 itself. My story was written prior to the event and so does not exploit it and I would never do so. As per other short stories I may complete, am considering asking those who enjoy my stories to pay a small fee if they desire. In the case of The Party, I was thinking of (say) $1.75 or a £1.00. Or perhaps a little more and donate a % to a charity. Why is it that after a tragedy caused by a 3rd party that anyone is entitled to financial recompense? Surely if any money is to be ‘awarded’, it should come from the perpetrators of the original attack? (They can more than afford it!) Secondly, why are people being ‘rewarded’ for doing their job, which by it’s nature is fraught with danger. I don’t want to be rescued by someone who is doing it for the money, rather than their desire to do the right thing. And finally, why is anyone profiting from such horror? This seems all wrong. Exhibit B (And here is another added 1st March 2010) – Becoming more and more common, despite claims to the contrary that the country is not broken. In fact, the UK is so far gone, it is hard to tell, but then ones perspective is limited from within the fishbowl! By following the local and national news regularly, you will find it easy to compile a large list of these horrible crimes that were predicted a while back by the brilliant Mr. Stanley Kubrick. He saw it all. Exhibit C – Note that this individual is treated with more disdain than many of the thugs out there who are either ticked off or given ridiculously lenient sentences. This is common in dystopian societies. Effectively, the authorities and their jobsworths are the criminals! Exhibit D (It is worth reading the comments below the article before reading my comment.) – Instead of allowing corporations* to surplant democracy with their privacy invading technology, the government could instead invest in less dubious businesses that provide employment and the protection of rigid family values, both of which help deter crime and terrorism in the first place. But no, they won’t, they encourage a culture to evolve that by it’s nature requires constant monitoring and therefore profits only those within the cartel. That is making life for those who desire a private honorable existence far less so. *On a related note, did you know 3i indirectly own the British traffic wardens? Exhibit E – If I was fairly ill and/or old (and not really with it), and knew in my heart my children were not really that decent, I would be terrified. Compassion, my a*$e! Fight back club: Don’t be intimidated by those who challenge common sense with cold distant repressive dystopian values that target the wrong people. As I type this, and this feeling is echoed by several successful level headed people I have recently spoken to, I am actually becoming genuinely frightened in my own country. Goings on abroad too echo events that have occurred in history before and thrust the world into war or revolution. Do read the news everyday, there are some very worrying items that you may spot if you keep an eye out. It doesn’t seem right for the masses to be addicted to mind numbing celeb and reality TV whilst out in the real world, innocent people are suffering. That is complicity! Click here. And in modern Britain too. But of course, the masses are glued to reality TV so won’t be protesting. But they will be emulating the pretty airheads on such shows and rushing out to get their injections. I’m leaving this posting fairly empty of a scathing analysis of hypocritical and cruel contemporary British culture in order that those readers who are disgusted can release any fury through direct action. Thing is, other than refusing to purchase products made available by such ‘research’ or standing outside a lab with a placard, the only real solution beyond direct government action is the complete undoing of the awful changes in our culture that have occured here over the last decade or so. How does one achieve this? Is there any period in the history of any nation or the world when a way of life has been abandoned and a previous path taken? Perhaps we could take a new path that blends some older values with futurist thinking? Food for thought anyway. Sadly, from previous discussions on animal experiments (that became very heated), I am in a minority on this one. Tragic. For those who appreciate my feelings towards the celebrity and reality TV culture of this doomed nation (Great Britain), today’s news and the popularist reaction of our dear leader is a realision of some of the most visionary and unnervingly accurate dystopian science fiction. A tragic day for so many reasons. It’s started folks, not good. This is worse than all else. Thing is, if this was a novel or a Hollywood film, the ‘bad’ guys would be bought to their knees by the third act* and we would have nothing to worry about. As per 9/11 where unlike Die Hard, no one was able to prevent any major component of the attack (beyond possibly downing the 4th aircraft before it struck a potential people filled target), in real life today, it appears to be harder and harder for good to win over what some may perceive as evil. Fight back club: Chances are if I posted what I believe those of us who are concerned about this issue should do before it is too late, I would be in a spot of trouble. So, perhaps it is best to leave it to the good people of America (in particular fundamentalist Christians) to do what even the least religious would probably feel in their hearts is the right thing by stoping this dystopian horror in it’s tracks – NOW – and without any possibility of it ever occurring again in the future, no matter how far we are able to take technology. While some may not agree, a number of key religious principles are in fact based on fairly visionary and sound concepts, mostly based on science and common sense. Tamper at your peril. *Standard Hollywoodesque screen plays are divided into three key acts: The first introduces us to the characters, the second develops the plot and contains the main ‘action’, while the third and final act brings about the conclusion. This latter component often includes a lot of mechanical drama, followed by a sentimental wrap up. …after a few years of starting to discover what most of you already knew, I concluded that the superficial joyous nature of some Americans (in particular the West Coast) was hiding a combination of loneliness and insecurity – even if they were/are unsure of this. After all, it is hard to be aware of your station unless you have known different. This explains in part the huge amount of money spent that side of the Atlantic on ‘shrinks’, prescription drugs and pointless material possessions – such as those stackable transparent plastic boxes to store excess excess possessions in. An alternative would be to talk to grandma, your best friend, Bob at the hardware store etc etc. Young people often travel far to study at University – several thousand miles in fact. This breaks that priceless bond with trusted friends and family who they grew up with. Overly optimistic Hollywood endings to just about every movie or television program ever made – leading to some disappointment with real life, as opposed to the depressing semi realism of the BBC’s East Enders. In the movies Bruce Willis would have steered the 2nd airplane away from the intact WTC tower. The reality was far different. Which leads to the sad reality that we here in formerly psychologically and socially secure Britain are becoming the same way. The British are still cynical enough to know how to differenciate between fiction and reality, but if we’re smothered by influencial programming, media and concepts, we’ll eventually break. And being it is all about the bottom line, this tacky scenario will be pushed across the globe as electronic empires spread their wings. Fight back club: Go away and party when you’re young and single, but keep family and real friends close when you’re ready to settle. And restrict the media you let into your life. As per a separate section of this blog (not sure if it’s been imported yet), on arrival back in the UK from the US in 2000, I was shocked (and upset) at what had happened to the country. The worst aspects of American culture had been imported, while the positive characteristics of that forward looking nation had been ignored. For example, investment in inner city sports facilities to give kids something to do other than drugs, crime and sitting indoors watching losers desire instant fame on TV. As discussed all over this blog and in my comments on external blogs and publications, for reasons outlined in the terrifying but pertinent Lord of The Flies by William Golding, the second those without experience, wisdom and mature ethical sensibilities are put in charge of the assylum, not only does all hell break lose, but everyone sinks so low at the same time it is difficult to sense anything is wrong! Only when one has travelled outside of the fishbowl does it become obvious what has got better or worse when returning. Beyond the media, England is also a somewhat dishonest culture that likes to kid itself while telling the rest of the world what to do – very much part of the daily English persona*. This was reflected in a very interesting survey published in The Times a few weeks ago that you can research at your leisure via the Google. Let’s examine the difference between the US and the UK (I use the two countries because I have lived in both for a fair amount of time). Here in the UK, the government discusses how it is investing in alternative energy sources and other sustainable living ventures while at the same time monitoring our every move to protect us from terrorists. Actually, we have done little about the former and the latter is not the subject of this posting as I think you’ll have noticed it is covered rather well elsewhere within Vision Aforethought. Anyway, our trains are overcrowded, over priced (by 100% over superior continental rail networks) and the staff are rude and lack motivation. There is only one wind turbine visible on the whole of the M4 – near Reading as it happens). There are no rooftop gardens across our major cities. We have still not harnessed wave energy. Our debt inducing cruel council tax has been ‘invested’ in Iceland! – I thought councils didn’t have any money to ‘invest’? We’re still invading other countries for their oil (yes, it really is all about oil!) Yet, 3000 miles across the Atlantic, (as per the links at LIFEMACHINE.COM), a number of active solar energy and other ventures are well under way, the old style corporations (such as GM) are crumbling (about time too!) and the American public have chosen to walk the walk into the future. They can do this because in the United States, unlike here, their real-world mentors are of a far higher quality. And that Dear Reader, is what this post is all about. Fight back club: Feed young brains the good stuff, then good things will happen. Update 1: (13th Nov 2008): The last part of this posting commenting on matters environmental does go a bit wobbly, and I’ll try to re-write it sometime (am a just a little bit busy! ), but I think you get my point. Basically, we’re breeding a nation full of very dumb and thoughtless people – just watch the news to see how parents treat their children today. The English have always been dignified and thoughtful – but celeb culture has reversed all that was great about the country with tragic consequences. Things are going to get a lot worse before a new generation of enlightened parents bring this sorry state of affairs to an end. Update 2: Read what Joan Collins has to say on contemporary British humor – and then re-read my post. Often in today’s UK, when something outrageous occurs, there is the profit motive. Here we have a business using scare tactics to introduce a technology that by default assumes anyone entering the specified (surprise, corporate) nursery to be of nefarious motive. Even if someone with dubious intent did enter the premises (find one example in the past), the parents and/or staff would be on hand to deal with the matter. We really are headed towards the dystopian future so accurately envisioned in books and films of past. Think about it, where will we be a decade from now? Even five years? What about today? As per yet another focused section of Vision Aforethought (to appear in the right column links), society is becoming so inhuman and in such contrast to the natural world, we are dooming ourselves to a cold stark mechanised future that will become harder to ‘undo’ as more and more government and corporate automatons supplant reason. Fight back club: You know the rules by now, avoid supporting an entity your gut feeling tells you is just plain wrong. Why not open your own open school or nursery, where trust is default and hope the government begin to respond to crime the New York City way? That’s freedom. On the same day that The Times of London discusses an issue I’ve been mulling over for years (see previous posting), The New York Times touches on something that I uncovered within months of arriving in Northern California in 1991 at a meeting with a retired executive of a pharmacuticals company. What occured back then was a fairly momentus turning point in my perception of reality – almost like discovering that there was intelligent life on the moon. The precise and appalling details are still in my old blog and will be imported into a forthcoming new section of Vision Aforethought. It is interesting to study how in the past when there were important (almost humanity saving) medical discoveries or advances, they were often achieved by lone individuals motivated by the urge to do good, rather than exploit and/or profit from another persons misfortune. Fight back club: Keep in good health (see Life Tips section of this blog), live sensibly and avoid any form of drugs – unless in situations where your life is on the line or you are genetically predisposed to fall apart without them! Do not, I repeat, do not spend money with entities that do not have your best intentions at heart! I was horrified to discover the ad was promoting a service whereby animal lovers can call a phone number to report lost or found pets. The catch? 60p a minute – from a land line! Imagine the cost from a mobile! Why isn’t the call standard rate or even free – after all, this is a charity – funded by donations. One can always donate later if willing. What about the poor? And what if someone doesn’t have any money? As per a forthcoming separate posting, the way consumers are being ripped off – even if knowingly – by their banks and other entities is one of the reasons for the so called ‘credit’ crunch. That popular term really masks many more greed related issues that are responsible for the crash in our quality of life. People are being queezed dry left right and centre, whether for doing 5mph over the 30mph limit or calling company X for help. In this case, it is an outrage that a good cause has now resorted to such tactics. Pure exploitation. Fight back club: This is a tough one, as it is a charity. I suppose writing to them may help. Of course, don’t pickup the phone – use their web form or a first class letter for the equivalent of 30 seconds of phone time. In case you are wondering why in a world where more serious matters should be highlighted I in fact blog about these ‘lesser’ issues, it is because they are related. The more we’re controlled, fined, bankrupted, threatened, queezed, monitored and stressed by greed and the complexities of life, the harder it is to devote a proportion of ones life to creative and/or charitable pastimes. One really needs mental, physical and financial security and stability in order to devote time to creative and charitable endeavours. The liberated Americans and French are the most generous people in the world. Why? Because they are, in their own way, free. This is no co-incidence. This (© BBC 2008) will be moved to the ‘Towards Distopia’ section in due course. One of the reasons CCTV is unacceptable without rock solid legal control (if acceptable at all) is the risk of footage being viewed by for profit and/or morally dubious entities, whether the gutter press or even ‘friends’ who by co-incidence may through their job get to view such footage. I hope this great guy wins his case and that the Americans, no matter how flawed their society, will never allow their dignified attitude towards privacy of the individual to be challenged by the total break down of common sense this side of the Atlantic.